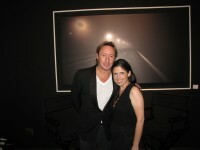 Rachel recently interviewed Julian Lennon. Known primarily for his music and his connection with his famous father John, Lennon today focuses on his art. See article in Edit International — http://editinternational.com/read.php?id=4cffc88280a0a.